Rahman Dag has a BA in Political Science and International Relations from Istanbul Yeditepe University and an MA Near and Middle Eastern Studies from the School of Orient and African Studies, and finally a PhD in Middle East Politics from Exeter University. He is also director of the CESRAN Turkey desk. 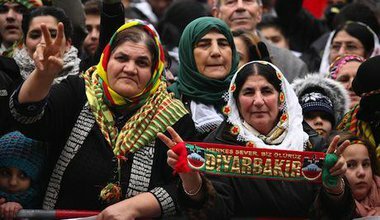 The Democratic Islam Congresses called for by PKK leader Abdullah Öcalan are promoting an interpretation of Islam that bolsters Kurdish nationalist aspirations, but it remains to be seen exactly how they will deploy this turn to religion.